Within The Great Plains in Transition, Kraenzel’s initial chapters outline the physiography of the Great Plains, and some early explorers from the Spanish, British and French empires. This includes Villazur’s (1720) and Coronado’s (1540-42) incursions onto the central and southern Great Plains, as well as the Mallet Brothers (1739-40). The first European to record their journeys at length on the northern Great Plains took place in 1742-43 with La Vérendrye and company, and five decades later with the Mackay and Evans expedition. After the founding of the American nation, though, and in the first half of the nineteenth century, mountain plainsmen had established themselves, and they started cultivating a set way of doing things — or a regionalism — throughout the Great Plains and Rocky Mountains. Individuals such as Jim Bridger, John Colter, Jebediah Smith and Kit Carson brought about a common Euro-American culture between 1803 and 1846. Mountain plainsmen would hunt, kill and harvest furs and pelts throughout the Rockies and Rocky Mountain basin, and then bring the items into the fur trading forts established along the river networks (such as this one linked to here). Nineteenth century routes across the Great Plains. In the second half of the nineteenth century, pioneers and settlers also charted disparate routes across the plains in an effort to reach Texas, California, and Oregon. 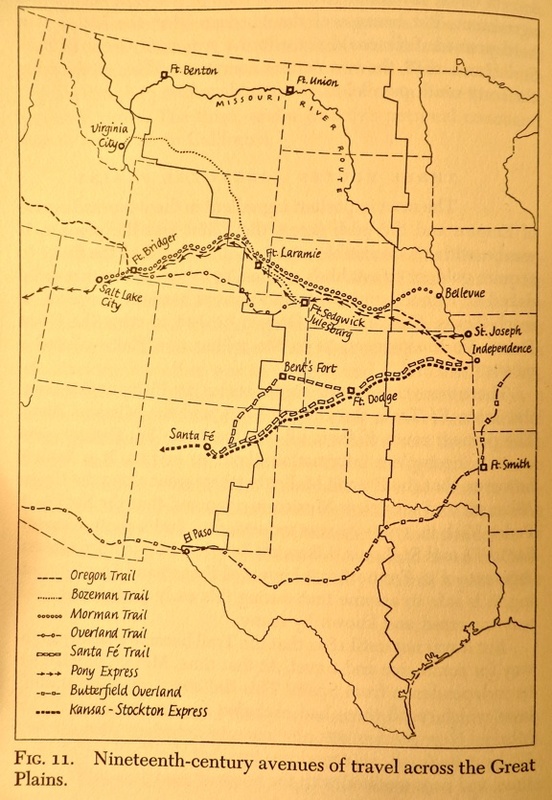 The routes included the overland Santa Fe and Oregon trails through the southern and central plains, and the Missouri River on the northern Great Plains. Eventually Anglo-American cattlemen appropriated some aspects of Gaúcho culture and brought it on to the Great Plains, but this culture was short-lived and within a couple decades devastated by industry and outside interests. In all, these individuals were perpetually in transition, and the Great Plains was a place to cross rather than a destination. 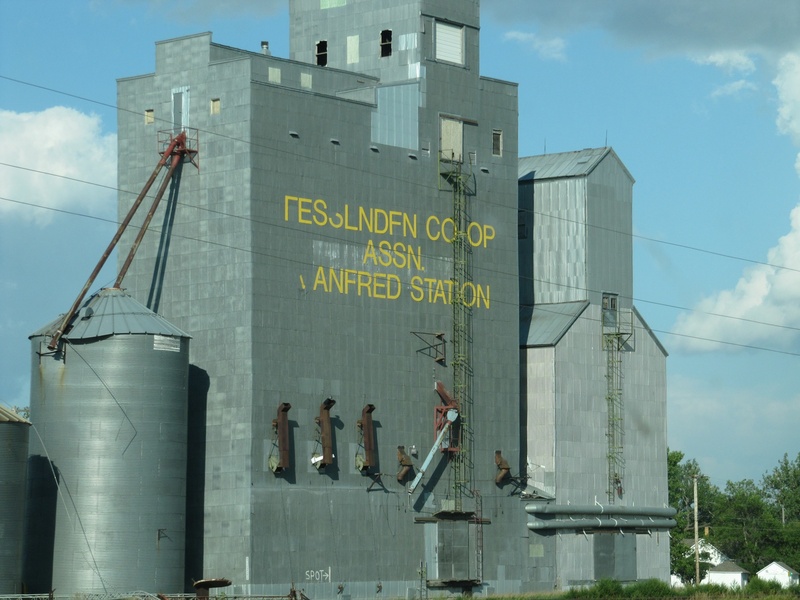 A summer 2012 photo of an elevator co-operative in North Dakota. This statement exemplifies why Kraenzel called for a heightened regionalism throughout the Great Plains in 1955, and it is universal gravity for ideologues aloof with a superficial understanding of the history of co-operatives. If one is from the central and northern Great Plains, one will have directly and indirectly benefitted from these co-operatives. Thus, co-operatives and regionalisms are an essence of Great Plains memory and identity, both in 1955 and in 2013. This entry was posted on Monday, February 18th, 2013 at 9:44 pm	and tagged with Carl F. Kraenzel, Great Plains History and posted in Uncategorized. You can follow any responses to this entry through the RSS 2.0 feed.